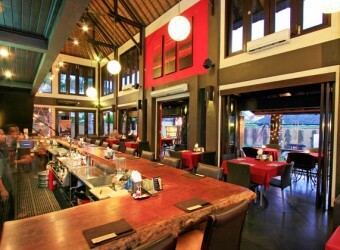 Bali Maya Sayang Bar & Restaurant is located in the private villa in Oberoi street, Kerobokan. They serve Japanese food, Korian food, Asian food, Italian and Balinses dishes, etc. Beacuse the villa and retaurant is owened by a Japanese, Japanese food is eapsially tasty and enjoy them with reasonable price. Please spend high rank luxury night in Bali.